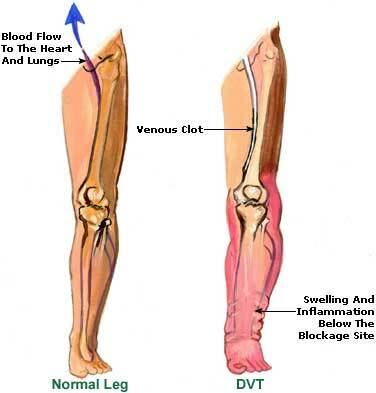 Leg cramps are an involuntary contraction of a single muscle or a group of muscles in the leg. These are usually painful and extremely discomforting. Leg cramps often occur in elderly patients though age is no criteria as it is often seen in young people too. Leg cramps generally occur in the calf muscle, the hamstring and the quadriceps. The duration of a leg cramp ranges from less than a minute to several minutes at times. Night leg cramps or nocturnal leg cramps are problematic because they can be excruciating when they strike. This could therefore leave you completely incapacitated and writhing in agony for the duration that the cramp lasts. Restless leg syndrome is not the same as night leg cramps and although similar, the two should not be confused. Leg cramps during pregnancy are known to also be problematic, but these are mostly caused simply by the additional stress and strain on the muscles, and this symptom will accordingly pass on with delivery. • Inability to move the leg for the duration the cramp lasts. The muscle in the affected area would most likely feel extremely tense and would be hard if touched. • Side effects of certain medicines such as diuretics. • An unusual or a different exercise than what is done normally. • Nerve and muscle diseases. Other possible factors that could possibly aggravate or contribute to the occurrence include the excessive consumption of alcohol. In some cases it is possible that a lack of physical activity and a sedentary lifestyle contribute to the problem either directly or indirectly. When there is inadequate physical activity and one spends most of the day seated then the leg muscles and those in the calves and feet do not function as they should. This causes a stiffening of the muscles, which during relaxation in sleep may lead to twitching and consequent night leg cramps. At times the presence of night leg cramps or nocturnal leg cramps may be attributed to the presence of some other condition, where the leg cramps are actually a symptom and not the primary condition itself. Addison’s disease and Parkinsons’s disease are two such possible culprits. Based on our knowledge of triggers for nocturnal leg cramps and also on the general statistics of population groups that are affected by the condition it would be safe to say that the primary causes of night leg cramps are mineral or vitamin deficiencies. This would include calcium or potassium deficiencies, and dehydration. Treatment options would quite naturally depend on the leg cramps causes. • Drink plenty of fluids and oral re-hydration solutions as electrolyte loss and dehydration are the most common causes of muscle cramps. Drinking liquids like caffeinated drinks or alcoholic drinks does not constitute towards your fluid intake as these are diuretics and will actually have the opposite effect on your system. • Make sure that you use appropriate footwear when walking that provide your feet with adequate support. • Stretching your muscles gently with light exercise like riding a stationary bicycle for a few minutes before going to bed can help loosen up and strengthen the muscles. This would greatly limit the occurrence or severity of night leg cramps. Dietary measures are also an important aspect of care and prevention of night leg cramps. Make sure that your diet is not restrictive, but instead should be well balanced with plenty of fresh fruits and vegetables. This should provide you with all the essential nutrients you need. Very often mineral deficiencies can aggravate the problem of night leg cramps. • There is little that you can do to relieve the pain when struck with a night leg cramp, but the best way to get it to pass is by consciously relaxing your mind and body. This may seem impractical but it is effective and will take some getting used to. Deep breathing is the most effective method of relaxation at such times. • Lightly massage the cramped muscle with your hands using a soothing balm. • A hot shower or soak in a warm bath should also offer considerable relief. • Multi-vitamin and mineral supplements may help, but should only be taken after consulting with a nutritionist or doctor for the appropriate dosage. Calcium, potassium, and magnesium deficiencies are often the cause for night leg cramps. • Try and consume fresh fruits and vegetables, and whole meal varieties of grains, not the refined varieties as the process generally destroys most of their nutritional value. Grains for that matter lose up to 85% of their magnesium when finely milled. Fruits like dates and bananas are rich sources of magnesium and potassium. • While milk and dairy products like cheese are rich in calcium, their high phosphorus levels reduce their effectiveness as calcium replacement sources. It would be best to get the required dosage of calcium from supplements that do not contain phosphorus. • Avoid using tight bed covers or restrictive sheets as this could cause an awkward pointing of the toes, which may lead to nocturnal leg cramps. • Make it a point to stretch the calf muscles with some light exercise for at least five minutes before going to bed each night. • Take up a non intensive fitness regime like yoga or pilates to strengthen the muscles and also to loosen them up. Yoga is particularly useful as the breathing exercises and meditative practices also help you to consciously relax your mind, as well as the muscles. Yoga also helps improve circulation, which could help minimize the occurrence of night leg cramps, if poor circulation is a cause. Most people who experience night leg cramps are simply bothered by the problem infrequently. Regular or frequent occurrences of night leg cramps can however be extremely troublesome as they also result in disrupted sleep. This could then cause problems of fatigue and exhaustion. In such a scenario it would be advisable to seek medical treatment.